HP 902-902XL Instant Ink SETUP H cartridges are supported for refilling. 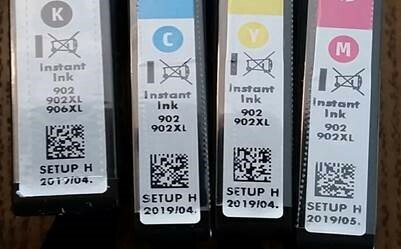 The HP Instant Ink Setup cartridges will not be listed in any retailer marketing materials or listed on retailer pricing websites (see links below) but will be fully supported and will be refilled as standard size cartridges. All refills will receive a new smart chip to enable ink level monitoring.